By the early twenty-first century neo-nationalist forces have established themselves in a number of the worlds large regions and subcontinents. From Australia to South Asia, in Eastern and Western Europe, comparable parties and movements have positioned themselves in national parliaments and governments, with some considerable impact on state power. In contrast to right-wing extremist parties in the past, these recent movements mostly operate within legal parliamentary channels, using essentialized notions of local culture to mobilize against real and alleged threats to local identities of status, gender, religion, nationhood and ethnicity. 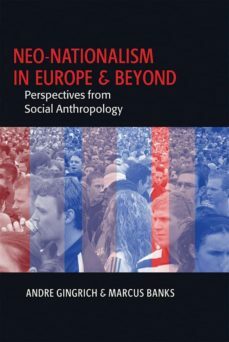 Prompted by this near-simultaneous rise to political influence of more than a dozen apparently similar parties across Western Europe, this collection offers a range of European case studies with selected global examples, such as the Front National, the late Pim Fortuyn, India and the BJP, and Pauline Hanson and her One Nation Party in Australia. It takes up the theoretical and methodological challenges posed by this phenomenon and asks what distinctive contributions anthropology might make to its study.